GradSERU is a survey instrument developed by the SERU Consortium to assess Graduate Student Experience in the Research University. UWM was invited to participate in the survey because it was named one of the top, “R1” institutions of higher education and research in the United States. On our campus, the study seeks a holistic understanding of the graduate student experience at UWM. The purpose is to enable institutional self-improvement and building of UWM’s research capacities in support of its R1 status. By gathering this data, we will be able to compare the experience of UWM graduate students to peer R1 research institutions, helping us get a better view of how our students’ experience follows similar trends across other campuses, and where we differ. It will also offer us a chance to learn what is working well, and in what areas we may need to focus more attention. Questions on the gradSERU Survey are divided into five parts. These include curricular experiences, co-curricular experiences (including public/community service), research experiences, teaching experiences and professional development (including employment and internships in business and government), personal life and conditions (including financial resources and external commitments), and the social life and conditions in which students pursue their degrees. At UWM, we are also interested in the food security of our graduate students, and a handful of “campus wildcard” questions are focused on this. The survey reflects the importance of understanding and seeking improvements in graduate education in an era of increased global competition for talent. Similar to reforms in undergraduate education, there is a global movement to improve the structure and quality of graduate programs. In the Unites States, the problems of doctoral student attrition and time to the doctorate as well as post-graduation career opportunities and choices have generated renewed interest within the academic community, university leaders, and American society about the purpose and structure of graduate education. SERU Consortium campuses use GradSERU as a tool for the evaluation of their graduate programs, enhanced by the ability to benchmark data at the discipline level with other participating SERU campuses in the survey. A key objective is to provide longitudinal data that can be used as a catalyst for discussions about the strengths and weaknesses of graduate programs and support to graduate education on campus, as well as research and policy analysis that may be important to all. If you are a graduate student, UWM needs to hear from you! By gathering this data, we will be able to compare the experience of our students to our peer, R1 research institutions across the nation. This gives us a chance to learn what is important to you, what is working well, and how we can improve our support to your research and your success. Your input will help shape the future of UWM. The survey opens Wednesday, October 10th and closes Thursday, December 13th. Responses to the survey will be held in the strictest confidence and will not be identified with individual students. Participation is voluntary, and will not affect anything in your academic program. The survey can take around 30-45 minutes to complete. We realize that is quite a lot of time to devote to a survey, but we believe the effort will be rewarded at the collective level, if we are able to address how to improve the graduate student experience and research potential by identifying strategic ways to support students and programs. 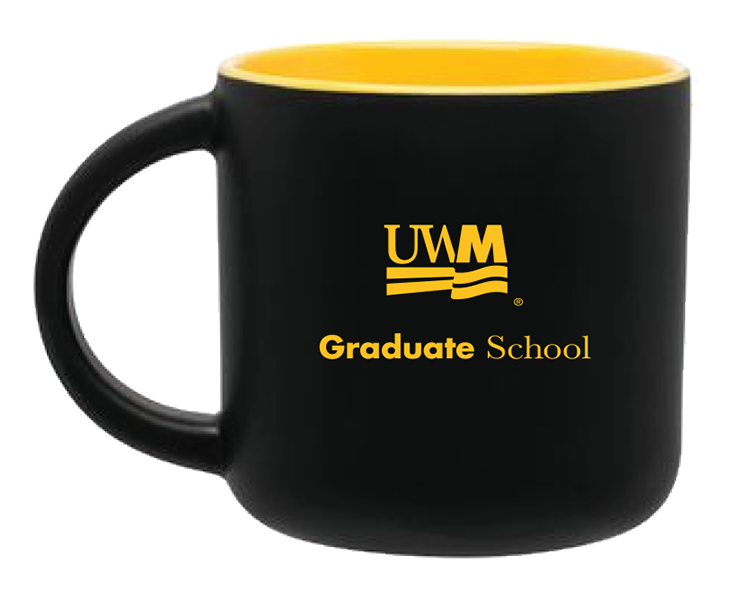 We will be offering a free Graduate School coffee mug to students who complete the survey. If we reach a target of at least 25% survey completion, the Dean of the Graduate School will sponsor an ice cream sundae bar (with lactose free options) and hot chocolate/coffee at the end of the semester. 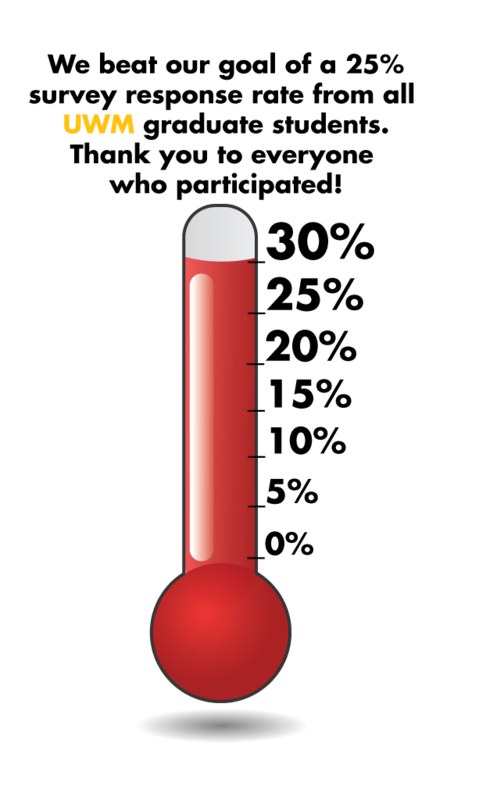 Follow the thermometer here as well as on the Graduate School Facebook and Twitter accounts to see progress on survey participation. We highly recommend that you complete the gradSERU Survey on a laptop or desktop computer—the survey does not function well on a smartphone. If you have questions about the gradSERU survey, please feel free to contact Assistant Dean Erin Fox or come over to the UWM Graduate School Office, Mitchell Hall RM 261, 3203 N. Downer Ave. Milwaukee.